We will not rest until African grandmothers can rest. attend a group meeting as a guest! We’re in full swing again for 2019! Attend an event, buy a craft, get involved. Help turn the tide of AIDS in Africa through a donation to the Grandmothers Campaign, in support of African grandmothers. Check here regularly for a new announcement. So many things to choose from in our February Newsletter! Come on out to an event – and know that you’re making a difference in the lives of African grandmothers who will never give up as they turn the tide of AIDS in their communities. Join Us!Attend, buy, sign up, invite us, visit, join… so many ways to get involved. You may think it’s a mini-skirted dancer from the 1960s, but in the African countries where Zulu is spoken – a gogo is a grandmother! An African grandmother may be called shosho in Kenya, nyana in Zambia, jaja in Uganda or nkeku in Botswana. But no matter how they’re addressed, African grandmothers are the unsung heroes of the continent raising a generation of children orphaned by AIDS. 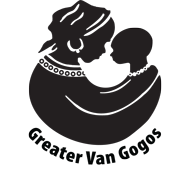 A Greater Van Gogo lives in Southwestern BC and belongs to a “grandmothers group” dedicated to standing in solidarity with African grandmothers and to raising funds for the Stephen Lewis Foundation’s Grandmothers to Grandmothers Campaign. African grandmothers are the heart of the response to HIV & AIDS. The Stephen Lewis Foundation launched the Grandmothers Campaign in 2006 to support grandmothers’ needs such as housing, school fees and uniforms for orphans in their care, counseling, business skills, and support groups. Sign up for our Newsletter – The Greater Van Gogos Newsletter will be emailed directly to you, always with an option to unsubscribe. Take a look at our latest issue. “Like” our Facebook page. We post news, upcoming events, and photos of our members raising funds and awareness. Invite Us!Learn about our work, request a speaker, ask us to sell crafts at your event.